Jon Williams as a young boy. Born in 1963, Jon’s foray into the field of music is almost equivalent to the time he has been alive. We have none other to thank than his parents, Reverend J. J. Williams – centenarian and the late Mrs. Ivy Williams, retired principal of Calabar All Age School. Jon’s journey began under the watchful eyes of his father, the well-loved Baptist Minister, founding member of the Jamaica Men’s Fraternal, former Choir Director and father of five. Upon noticing that his first born, Jon, at the age of four was able to recall melodies of nursery rhymes on the piano without being taught, Reverend J.J brought it to the attention of his wife who immediately sought out and started him off with some of the best tutors. Jon distinctly remembers the first time he held a violin. The adults who introduced it to him at the time remember it too. He couldn’t have been more than four and a half years old. They had shown him the instrument; shown him the chords and then asked if he knew how to play the popular nursery rhyme – ‘Mary had a little Lamb’. Thinking he had been asked to play it on the violin – he took up the instrument and replicated the melody on it to the shock and awe of those present. To him it was the most natural thing in the world; to his audience it represented one of those rare glimpses into the future. By age 10 he was hauling gold and silver medals for performances at national festival competitions and had already debuted his craft on radio and television. With such a start, it was not surprising that Jon had his own band during high school. It was at the Excelsior High school that he began experimenting with scoring music. Among his proudest moments was, for his own graduation, he scored for a small band, which played the processional, the recessional and graduation song – the American Academy Award winning film score to Exodus (1960) further popularized by Pat Boone’s lyrics This Land Is Mine. It was also while at Excelsior at the age of 16, that Jon achieved distinctions at the Grade 8 examinations in piano and violin at one sitting, from the Associated Board Royal School of Music – ‘the UK’s largest music education body and the world’s leading provider of music examinations’. A year later he gained his L.R.S.M and was granted an ABRSM scholarship from a field of Caribbean applicants to continue his music studies at the Royal College of Music, London. He was now 17. The year was 1980. Though it was the first time traveling outside of Jamaica, as well as the first time living outside his paternal home, Jon took up his scholarship in the UK as if it was just the next, normal, logical step in the sequence of his unfolding life. Living with his uncle from his mother’s side of the family, Jon commuted to school where he was one of seven non-white students in a school population of seven hundred. With no shortage of confidence from his upbringing in Jamaica, while at College Jon Williams became a force to be reckoned with. He was the only student at the Royal College of Music who was West Indian and who played Jazz. Therefore, as a student, whenever the opportunity for gigs arose, he was specially requested, as he brought much delight to his patrons. Williams’ name spread rapidly around the West Indian community in London after making a cameo appearance on the Caribbean Talk Show – “Rice & Peas”. That was all the encouragement he needed to make his stay at the music school worth everyone’s while. Coming back to Jamaica without completing the course was not an option. Shortly, after though, Jon found the ultimate inspiration. One day he happened to hear strains of unaccustomed music floating from the music room and said, “I like that!” Jon discovered Jazz! This new sound struck a chord, and in just a matter of months, Jon was creating his own Classical Jazz fusion, which represented a blend of his ongoing formal education and the newfound passion. Back then, there was no YouTube so the Jazz pieces he tackled came via the radio and cassettes and he mastered them quickly. He remembers gorging himself on the musical masterpieces of Canadian Jazz pianist, Oscar Peterson, American pianists and composers - Joe Sample and Duke Ellington to name a few. By the end of his second year, he was being booked for shows on a regular basis and gladly told his parents to stop sending him money. Jon acquired a car and loads of equipment – drum set; two amps, keyboards; bass; a table tennis set and carpet – which he shipped to Jamaica when his sojourn at the College came to an end. It is easy to have questions as to why Jon returned to Jamaica when it seems his career was on the verge of “taking off” in London. Jon was not bound by the scholarship to return, nor was he homesick. Instead, he said a different desire drove him. It was the need to give back. Being at the academy opened his eyes as to what he could give back to the island where it all began and so he did. Filled with zeal to impart all he had learnt, Jon accepted the position as General Music Teacher at the EXED Community College in 1984. He taught there for four years. During his tenure, he tutored students, managed a band that played for the school and other functions; worked along with the choir and did private lessons. Some well-known musicians including singers have passed through his hands. There is Nadine Sutherland, famously remembered for her collaborative piece with Terror Fabulous – “Action”. He taught Steven “Lenky” Marsden – producer of the very successful Diwali Riddim. There is Seretse Small, Dennis Rushton who unapologetically thanks Jon for teaching him Jazz, Erica Newell who sang for years in Ziggy Marley’s Melody Makers and Norris Webb, currently a member of the world renowned Reggae Band – Third World. He also taught at Edna Manley for a brief period as well and had the opportunity to touch the lives of songbird Pam Hall and Jimmy Peart. While at Edna Manley Jon decided to formally enter the arena of music business, first, as a performer and then as a businessman. Almond Productions Limited was birthed – a full digital recording studio in operation for over twenty-five years. It was also in the late 80s that Jon got an invitation by singer Pat Gooden, to be her accompanist at La Pavillion, Pegasus Hotel’s afternoon High Tea event, where live entertainment accompanied savory delights. The then Food and Beverage Manager, Peter Fraser expanded the musical offerings with the semi-classical blend of violin and piano. 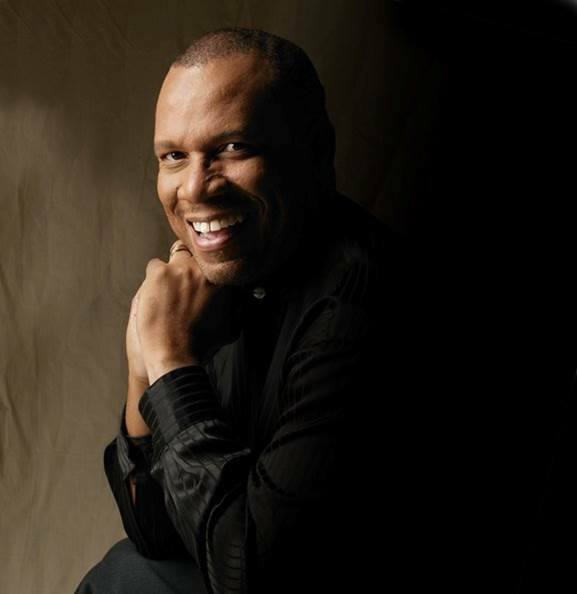 The Touch of Elegance ensemble was now the new mainstay, which featured Jon Williams on piano and his former teacher Paulette Bellamy O.D., on violin. By the time the 90s came around, Jon had firmly established himself within the fabric of the Jamaican music scene. Being very relational, coupled with an excellent work ethic, Jon was building relationship with other musicians. It was also at this time that Mutual Life Jazz held in the basement of then Mutual Life Building, now popularly known as NCB Twin Towers, was in high gear. Everyone who was doing serious music in Jamaica at the time performed in the basement. It was a regular monthly rendezvous. When Desi Jones, Drummer, was tasked with putting a resident band together Jon joined the group as the Mutual Life Jazz Players’ keyboardist and violinist. Jon along with Richard White on Bass superseded by Michael Fletcher; Billy Lawrence who currently tours with Jimmy Cliff on Congo; Rupert Bent Snr. on Guitar and Desi Jones on drums, formed the core of the group. Mutual Life went to another level. It became the premiere spot for live Jazz music every last Wednesday of every month featuring a guest performer. Many popular musicians passed through that scene; acts including luminaries Pam Hall, JC Lodge, Junior Tucker and Dean Fraser. Today, Jon still enjoys playing on the piano and violin. He also runs a music production company that provides a wide range of musical solutions to both local and international clientele. From producing a jingle to scoring an orchestra, Jon does it. He is also known with the industry as a fixer. If you are having difficulty coming up with a music solution – call Jon. In recent times he has ventured into film scoring having worked on Chris Browne’s Ghett’ A Life. In 2010, Jon received the Silver Musgrave Medal award for outstanding merit in the field of Music. Having never forgotten the generosity and graciousness shown him by the late Cedric Brooks - Saxophonist and Flautist who would lend Jon and his friends his equipment for their band to perform at functions, while they were in high school, Jon can often times be found counseling, encouraging and imparting his experience to other young musicians. Now it is said behind every good man is a woman. Jon Williams would say that differently. Beside every good man is a good wife and that is how he feels about wife of over twenty-five years and mother of his three children, Ann Marie Williams. He also attributes his success within the industry to his relationship with God. He is unapologetic about his standards and values and stresses character development as a foundation upon which to hone one’s talents and gifts. Beyond his natural talent and training, what makes Jon a musician of choice is his integrity. He tries to be punctual and gives his best at all his contributions. Where will Jon go next with his music? Only God knows! Authored by Tawjna Williams and Ann Marie Williams.